Michigan Operation Freedom Outdoors (MiOFO) is excited to announce the second annual David Pollie Classic essay contest, sponsored by Garmin. MiOFO will award an Action Trackchair to one lucky individual who has the medical need for this type of device and has no other means of obtaining such a chair. This year’s contest will be open only to youth ages 5-18. Last year, anyone with health and mobility challenges was eligible to apply. 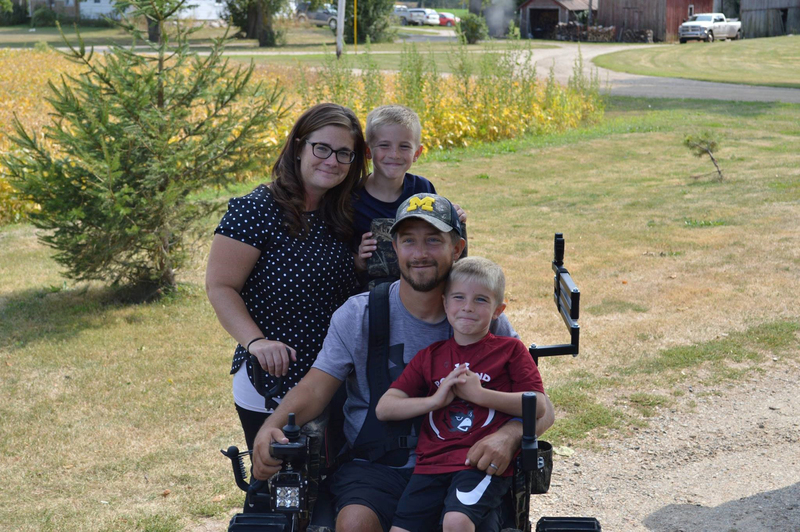 David Pollie was injured in his youth, Jones explained, and while his injuries left him paralyzed, he never lost his zest for life or his love of the outdoors. He had a supportive, loving family, and together they overcame many obstacles. Aided by his service dog, Emmy Lou, and a host of lifelong buddies, Pollie lived his life to its fullest despite his limitations. Standard wheelchairs limited Pollie’s ability to enjoy one of his greatest pleasures – time spent outdoors hunting with his brother. 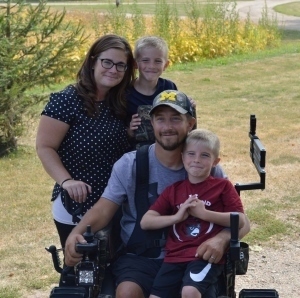 To get him back outdoors with his independence, his family started a fundraiser to purchase a Trackchair. His friends and family raised half the money needed but fell short of their goal and contacted the local media to help raise awareness of his need. An anonymous donor, moved by Pollie’s story, donated the remaining money needed. To enter the contest, youth ages 5-18 must submit a one-page essay or a two-minute video along with an entry form. The essay or video should detail the reasons why the contest entrant deserves the tracked wheelchair. The essay may be written by friends, family, teachers, classmates or the contest entrants themselves. Only one contest entry may be submitted per person. The entry form and complete contest rules can be found at www.miofo.org. Essays and videos will be accepted through June 1. The winner will be notified around June 15. Contest entries should be submitted to: Program Director, davidpollieclassic@gmail.com. MiOFO is a cooperative partnership between the Michigan Department of Natural Resources, Eisenhower Center, Passing Along the Heritage Foundation, the Brain Injury Association of Michigan, Garmin, Safari Club International Foundation, Michigan Building and Construction Trades Council, Michigan United Conservation Clubs, the Disabled American Veterans, Michigan Outdoor Mobility and more. Its mission is to provide improved outdoor recreation opportunities for individuals with health challenges; and, to coordinate a support network that facilitates their recovery through connecting with nature. To learn more, visit www.miofo.org. Corey Lanz, winner of the first David Pollie Classic essay contest, and his family have enjoyed many outdoor adventures together.